This week we have a very cool inspiration photo at Runway Inspired Challenge! For inspiration, I focused on the patterned skirt and the prominence of yellow. The stamps that I used in this card are from a set that I have designed, and it will be in the market soon! I stamped them using Memento black ink, then colored with Copic markers. I added a strip of yellow card stock at the bottom, then a strip of black on top leaving a little bit of yellow peeking through. I don’t think I did the picture justice, but you should definitely check out what my team-mates made, including our guest designer Karolyn Loncon. Each card will wow you! Our sponsor for this challenge is Ellen Hutson, and the winner will receive a $25 credit to her online store! Oh this design is so YOU! Of course it’s a set you designed : ) Really perfect for this inspiration piece. That tiny strip of yellow is spot-on. Love it, Tasnim! OMG Tasnim, the more you tease us with your stamp designs, the more I want!!! 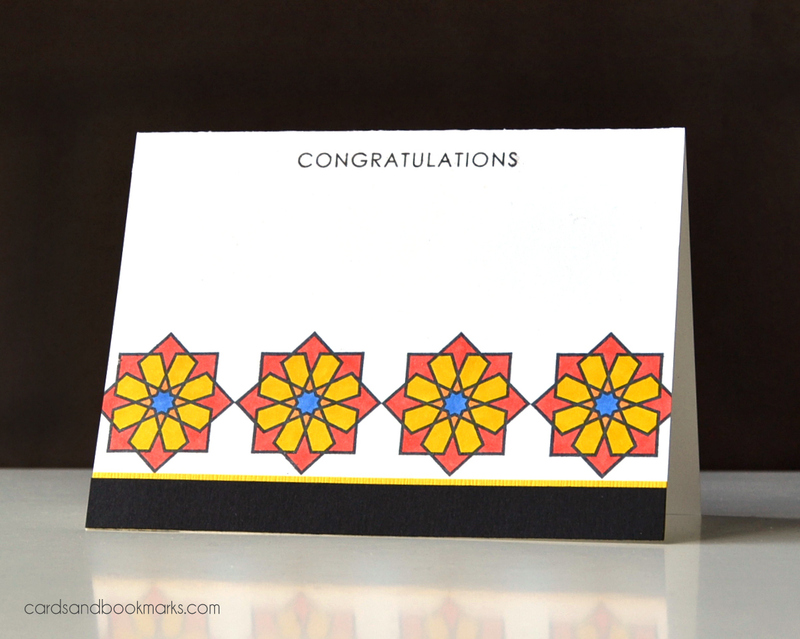 This card is another elegant offering from you, and as Kelly says, the design is sooooo you! PEERLESS! I love your precise stamping and gorgeous design! And oh…. you used your own stamps? Can. not. wait. This is Fabulous Tasnim!!! Love it!!! Like that stamp, what company will it be from? I came by your blog from Online Card Classes. Perfect use of the new stamp set! I love the balance between the images at the bottom and the sentiment across the top!